Ken, Tony, Paul, Roland and Murray. The In-Betweens were originally formed in Dunedin in 1967 with the above line-up. At that stage they were all schoolboys aged between 13 and 15. They were managed by the Rabbett brothers' mother and achieved some national recognition before any of them had left school. In January 1968 they entered the Battle Of The Sounds competition, winning their regional final. They traveled to Wellington for the national finals and up against stiff competition, secured second placing behind the Fourmyula. As a result of this success, Mrs Rabbett continued pushing the group and by 1970 they were one of the top bands in the South Island. Roland, Ken, Tony, Murray and Paul. 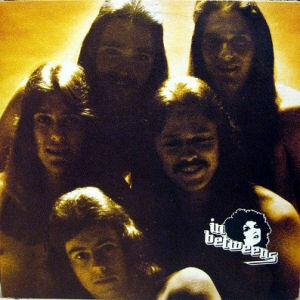 In 1970 Rob Guest joined the group as vocalist, replacing Ken, and they entered Benny Levin's National Battle Of The Bands competition. This time they were successful by taking out first prize. Benny Levin took over management of the group and shifted them to Auckland. They signed a recording contract and started releasing singles on the Impact label. The first single in 1970 was called "Boom-Sha-La-La-Lo"/"The Night Before". "Boom-Sha-La-La-Lo" was an excellent cover of Hans Poulsen's Australian version and was a finalist in the 1970 Loxene Golden Disc Awards, also reaching number 18 on the National charts. The follow-up single, also in 1970, "Make A Wish Amanda"/"While My Guitar Gently Weeps" didn't feature as well, nor the next one in 1971, "Living In A Dream World"/"Easy To Be Hard". In 1972 the In-Betweens shifted to Sydney, but times were tough there and before long they had fallen apart. In 1975 Tony Rabbett decided to have another go, so with keyboardist Len Worthington, he teamed up with the remnants of Tramline. They based themselves in Auckland and moved away from the original bubblegum music to a more heavier sound. 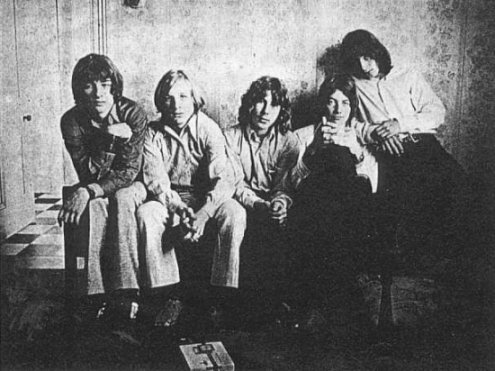 They recorded a self-titled album for Eldred Stebbing's new Key label in 1976. One great track on it was released as a single This was "I Can't Stop Loving You" backed with "Good Life". Both the album and the single bombed, and by 1978 they were no longer popular in New Zealand. Unable to compete at home, the group then tried their hand in Los Angeles. They spent 12 months in LA, managing a few small-time gigs, but gradually ran out of money and enthusiasm. Work permit hassles prompted their demise in 1979.